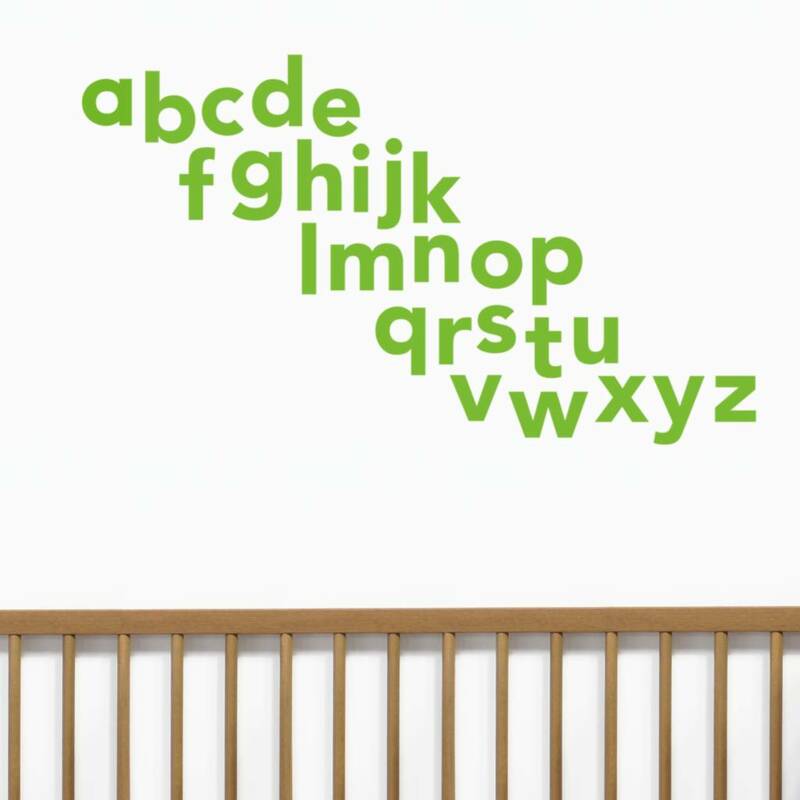 Brighten up your child’s room or playroom with our wall stickers. 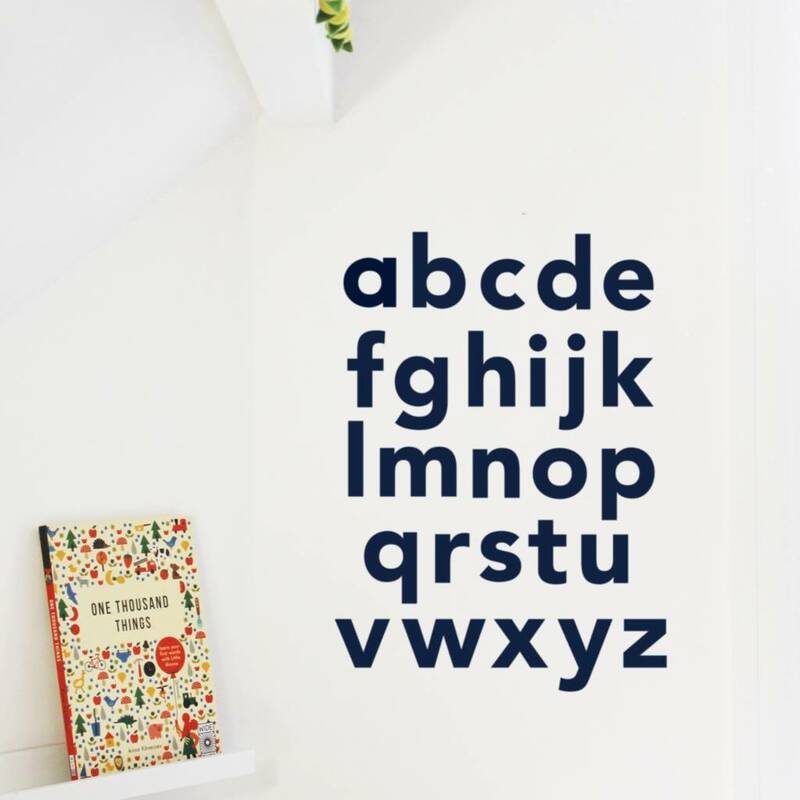 This wall sticker set features the whole alphabet in a clear modern font - a great way to help your child learn their ABC's! The stickers can easily be removed, but are not reusable. 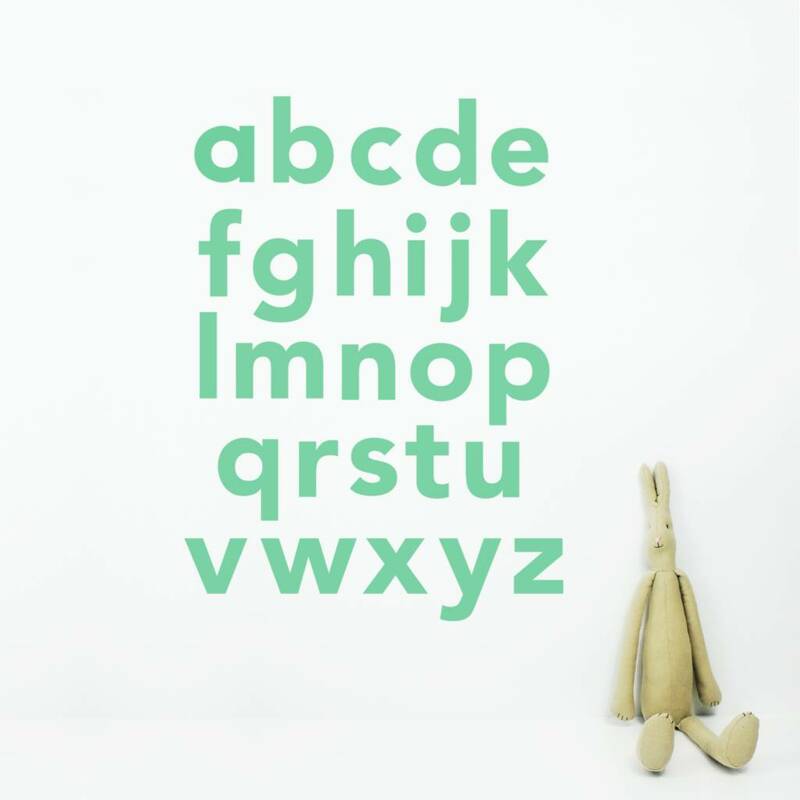 Choose from all uppercase or all lowercase lettering. 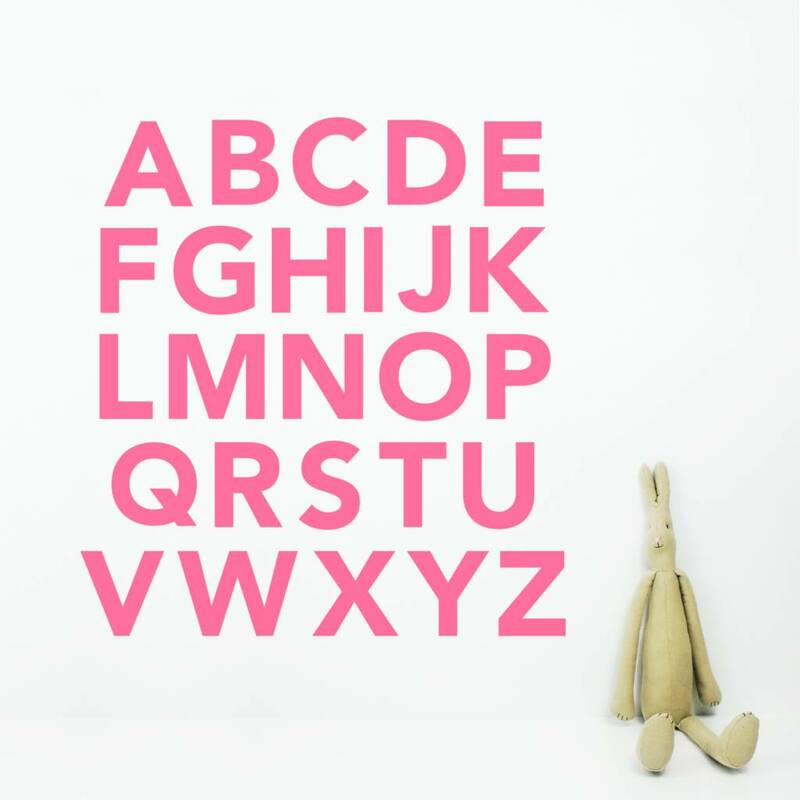 Available as individual letters to arrange as you choose, a block of letters, or a strip of letters. Please note that if purchasing as a strip that you will receive five separate strips - ABCDE, FGHIJK, LMNOP, QRSTU and VWXYZ. 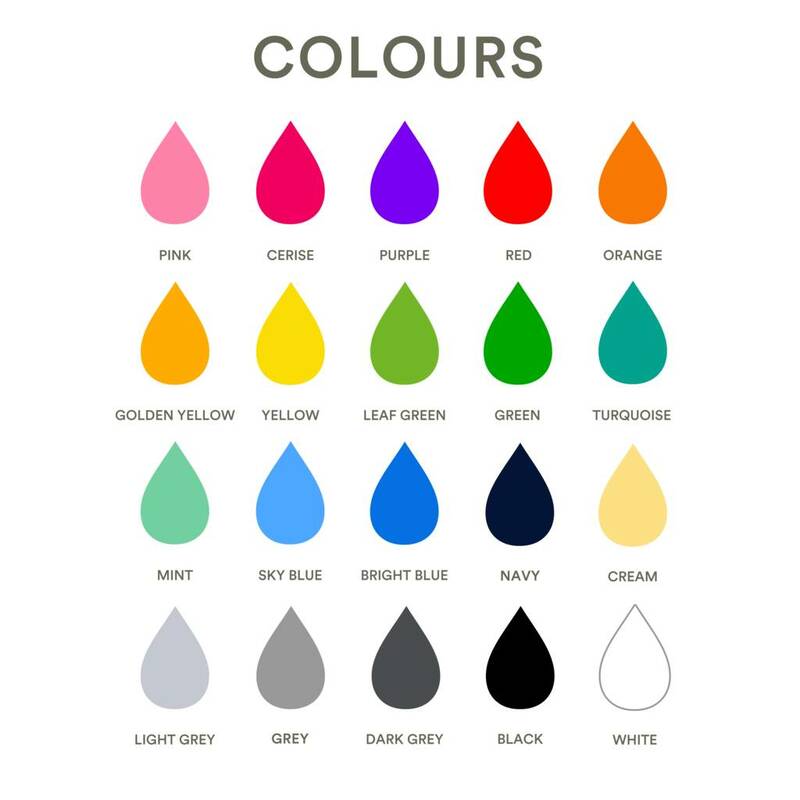 High quality matt vinyl which can be applied to most smooth surfaces including walls, glass or furniture. 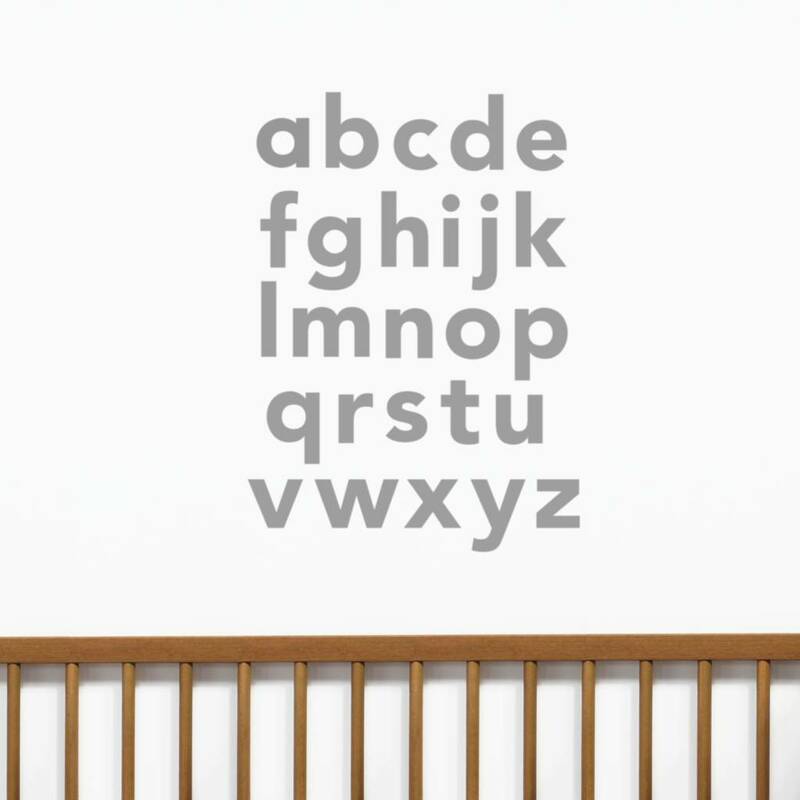 *Please note that our stickers may not be compatible with washable or wipeable paint. We are happy to send a test sample or answer any questions that you may have prior to ordering via the ‘ask seller a question’ tab. 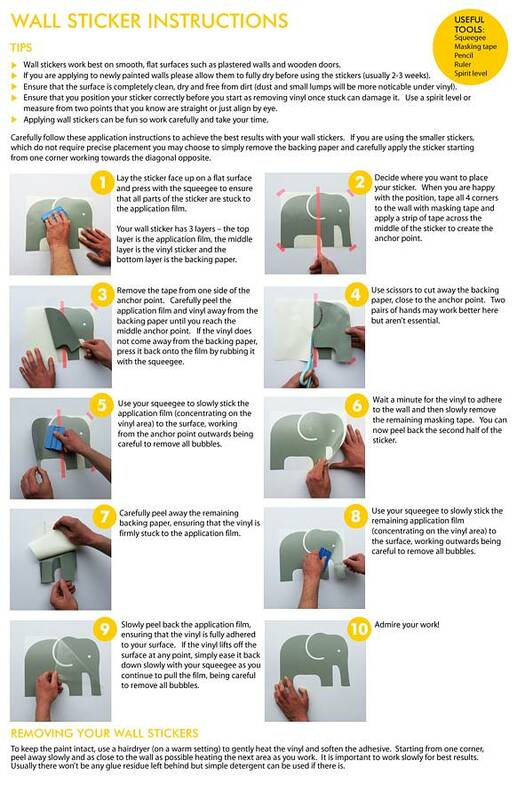 Each sticker has been pre-applied with application tape for easy transfer. Supplied with a detailed instructions sheet and free squeegee. We are also more than happy to help with any application or removal questions via the email enquiry. 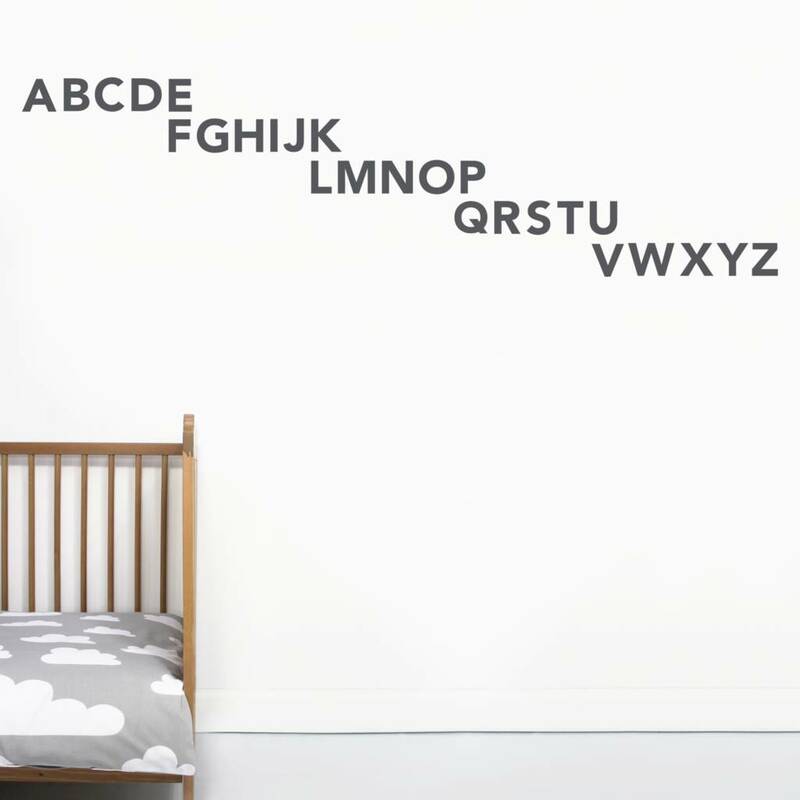 Wall stickers can take a little bit of time and effort to apply but the results are most definitely worth it. 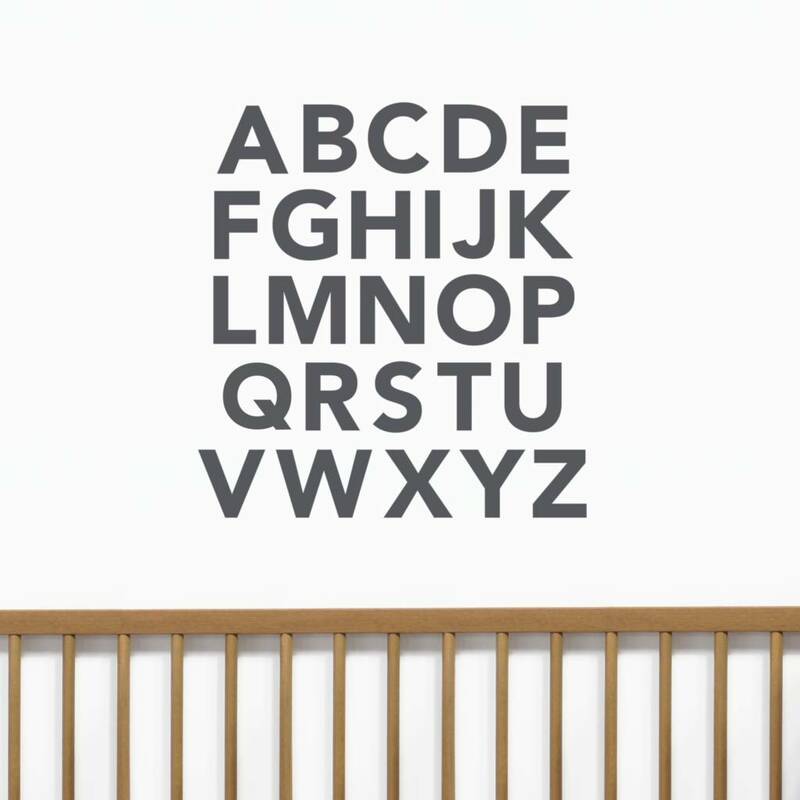 Each letter measures up to 9 cm (height).